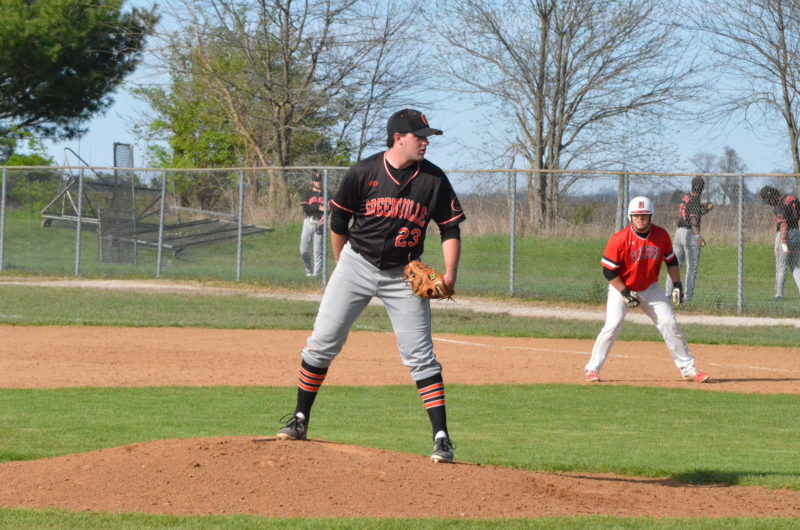 Greenville Panther baseball took on Blackburn College this past weekend in a three-game SLIAC series. The Panthers entered play with an 11-11 record and 3-3 in conference. 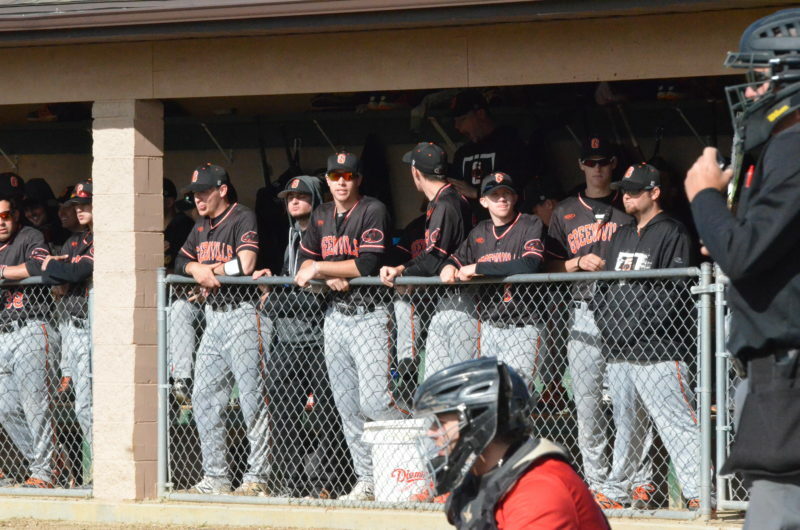 The Beavers entered with a 4-15 record and 1-4 in conference. 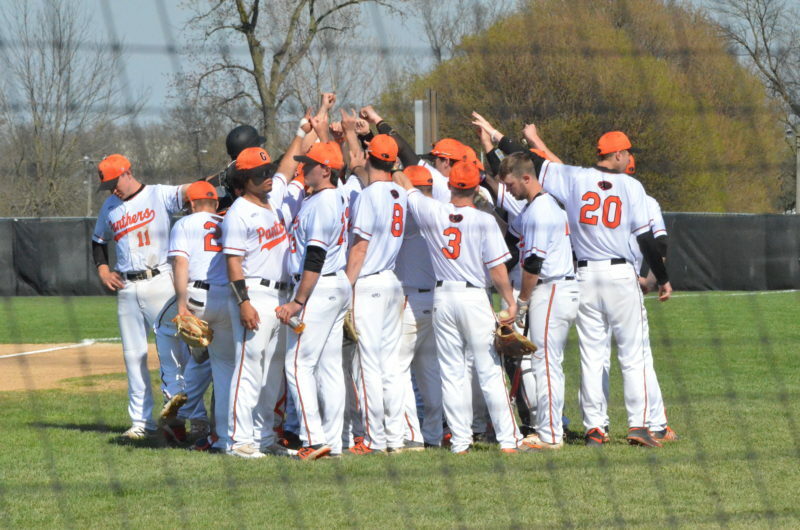 Game one of the series took place in Carlinville, Ill., at Blackburn College on Friday and was a nine-inning game. Games two and three were a doubleheader at Greenville on Saturday and featured a seven and nine-inning contest. Both teams were blessed with great weather in both locations for a great two days of baseball. For game one, the Panthers sent Jonah Moore to the mound to face Brady Wilkinson of Blackburn. Game one really went the Panthers’ way as the offense was explosive and the defense and pitching shut it down. Scoring started early in the top of the first, where the Panthers put across four runs on four hits and one error. A couple innings later, in the top of the third, the Panthers scored seven more off of six hits, two of those being doubles by Mike Hardin, to make the score 11-0. The Panthers continued to scratch across runs throughout the game, eventually ending early in the seventh inning at a score of 17-1. Moore tossed a great game and had a final line of six innings pitched, two hits, no runs, two walks, and eight strikeouts. Moore’s record on the season is 5-1. Game two was the seven-inning matchup featuring Adam Lamb for Greenville against Jonathan Stepp of Blackburn. Scoring started for the Panthers in the bottom of the second when Bryce Pearce singled, scoring Austin Marsh and Shane Olmsted, and Caleb Miles advanced to score on an error. Travis Ralls also had an RBI in that inning, making the score 4-0. The other two runs came courtesy of RBI doubles by Hardin and Olmsted in the bottom of the fourth. The defense turned two double-plays and Lamb threw an excellent game, shutting out the Beavers for all seven innings. Lamb got the win, making his record 2-2 with a final line of seven innings pitched, six hits, no runs, one walk, and three strikeouts. The last game of the series was a nine-inning matchup that came down to the wire. 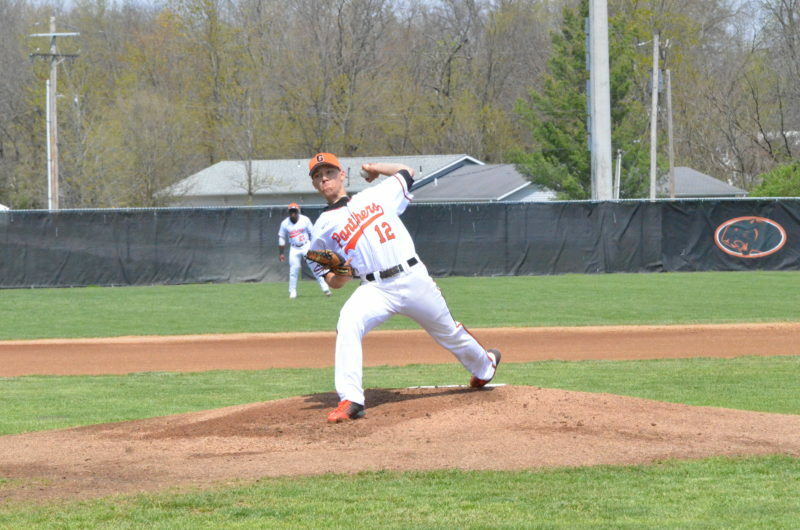 Phil Reedy took the bump for the Panthers against Blayten Magana of Blackburn. There was a lot of offense in this contest for both sides. Greenville got off to a hot start in the bottom half of the first when Hardin hit a three-run homerun to left field. Blackburn answered back with four runs in the top of the second on four hits, then another run in the top of the third making the score 5-3 Blackburn. The Panthers answered back with two RBI bombs by Travis Ralls, tying the game. In the top of the seventh, the Beavers capitalized on some walks and got a couple hits to push across three more runs to make it 8-5. The Panthers had two more solo home runs by Olmsted and Getz to make the final score 9-8 in favor of the Beavers. 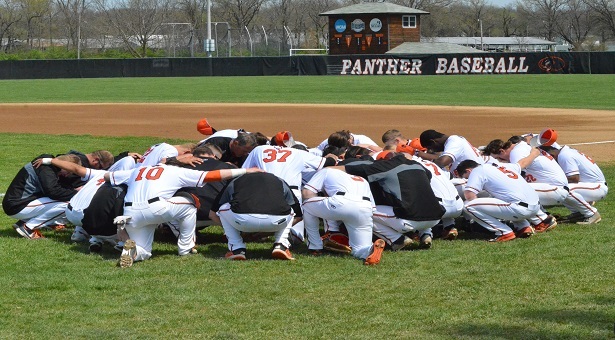 The Panthers ended the weekend at 13-12 and 5-4 in the SLIAC. They return to the field Friday, April 6, for a doubleheader against Robert Morris University-Springfield, first pitch at six o’clock. After that, they travel to Eureka for a SLIAC doubleheader on Saturday starting at one. Be sure to follow the Panthers on Twitter for live tweets and keep up with stats and the schedule on the website. Go Panthers!